You may notice a new header up there, a new little gif that proclaims this here space to be my project journal. See the last couple of years have been pretty sparse in terms of blog posts, yes, I have been busy but I also kind of lost my voice here, lost my focus. In the beginning it was just me blathering on and then then it was all about the ups and downs of having babies and then I started to feel uncomfortable sharing so much about my kids publicly online and now, as they grow older, their story is not my story to tell to the entire world, you know? But all through that has also been my creative escapades and exploration and that's what I want to get back to. With the Maze & Vale banner at the top of the page, this space felt too "business" to me somehow, like I could only share M&V related work or something and I often felt like I was just rehashing things I'd already shared on the Maze & Vale Facebook page. So basically, here's the sitch - if you want the most current news on what I'm working on for Maze & Vale in short form and to find out about shop updates, check the M&V Facebook page. If you want to see other little peeks of my life plus Maze & Vale stuff, check my Instagram feed. And if you want more details than I can share on the aforementioned or enjoy a bit of rambling, then stay where you are and sit yourself down. im in the same boat, after 8 years of blogging Im not sure I have anything left to say! I consider my blog a journal of life. That will be a lovely quilt such lovely colours. 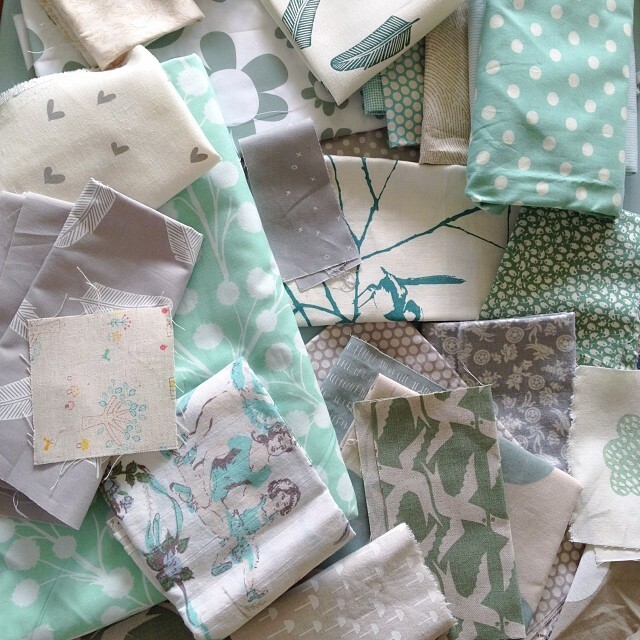 Ooh loving all those teal and mint greens - really looking forward to seeing the quilt that you create. You're an inspiration to me, as a textile designer.